The Mediterranean diet benefits us in a variety of ways. With easy-to-prepare recipes and a variety of textures and flavors, it's a model of healthy eating—good for your heart and your overall health. To enjoy Mediterranean Diet benefits, make sure vegetables and fruits are major parts of your diet, along with healthy fats, olive oil, nuts, fish, and whole grains. How would you like to spend some time at a café in Ibiza or lose yourself on a Greek island? To get to know Nice, visit Naples, or explore Morocco? While waiting for these dream vacations, you can start out by adopting the way people eat in that part of the world—and enjoy the many Mediterranean diet benefits. Below are nine powerful reasons you should switch to a Mediterranean style of eating. People who live by the Mediterranean almost always eat fresh foods. As much as you can, banish frozen foods and junk food from your diet. According to the Mayo Clinic Women’s HealthSource, most foods that are part of the Mediterranean diet are good for the heart. Olive oil and nuts lower cholesterol. Fruits, vegetables, and whole grains help keep arteries clear. Fish helps lower triglycerides and blood pressure. Omega-3 fatty acids (found in nuts, such as walnuts, almonds, and hazelnuts, and in fish) lower triglycerides and blood pressure and support heart health. 2. You don’t have to count calories. The key to enjoying Mediterranean diet benefits is to substitute “good” foods for “bad” foods. For example, eat very little red meat and lots of seafood; have fruit instead of processed, sugar-filled desserts; rely on unsaturated fats, especially olive oil, instead of butter. By the way, according to a study published in the American Journal of Clinical Nutrition, olive oil also benefits people with type 2 diabetes. 3. You can eat bread and pasta. But make them whole-grain. They contain more protein and minerals, and are healthier than pasta and bread made from refined flour (the latter can cause a temporary spike in blood sugar level, followed by a rapid—and unhealthy—decline). Whole grains may also reduce the risk of heart disease. 4. Healthy fats are permitted, in moderation. Healthy fats are found in nuts, olives, and olive oil. These add flavor to food and help fight diseases such as diabetes and cancer. (Healthy fats are also known to provide cognitive health; see our post “Eat Healthy Fats to Lower the Risk of Alzheimer’s and Dementia.”) On the other hand, avoid saturated fats and trans fats, which are hidden in many processed foods. 5. You can drink wine, in moderation. It’s customary to drink wine with meals in the countries of the Mediterranean region, especially red wine. Wine relaxes you and can help fight cardiovascular disease. But keep it to one glass a day for women and two for men. By the way, if you don’t drink, you don’t have to start. 6. There’s lots of variety. The Mediterranean diet includes not only Greek or Italian cuisine, but also the foods of France, Spain, Turkey, Morocco, Lebanon, and other countries in the region. But choose the healthier foods from these varied cuisines. Remember that French cuisine can be heavy in saturated fats from butter and cream. And Spanish food can include lots of white rice. Be choosy! Remember the basics: Avoid red meat, whole milk, and dairy products prepared with whole milk. You can eat fruits and vegetables, olive oil, fresh fish, and whole grains. 7. It contains lots of varied and delicious spices. 8. You don’t go hungry. Because these foods are rich in fiber, they are digested slowly and keep you feeling full longer. 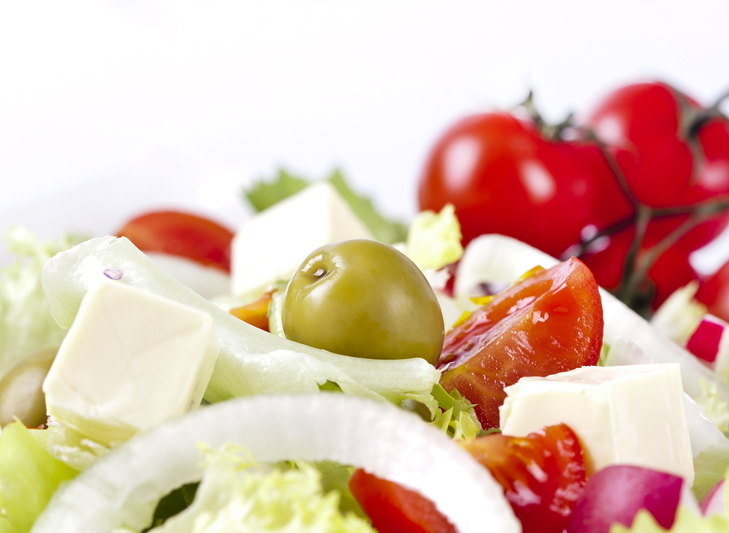 And an additional benefit: the Mediterranean diet can help you maintain a healthy weight after a weight-loss diet. This was revealed in a study by the Negev Nuclear Research Center in Israel, published in the New England Journal of Medicine. 9. It’s good for your brain, too! What protects the heart also protects the mind. 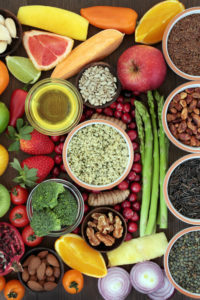 A research study at The University of Exeter suggests that the Mediterranean diet may protect the brain from aging and reduces the risk of schizophrenia and age-related diseases such as dementia. If you want to give your family the gift of health and even prolong your life and theirs’—switch to a Mediterranean diet at home as soon as you can. From your own kitchen, you could be fighting conditions like type 2 diabetes and obesity. But remember that, more than just a way of eating, the Mediterranean way is a lifestyle. If you want to maximize its great benefits, combine the diet with physical activity and a calm and relaxed attitude. All of this will relieve the tensions and stress of modern life and allow you to live the good life. 2 diabetes, add, aging, almonds, alzheimer, antioxidant, blood pressure, blood sugar, blood sugar level, brain, calories, cancer, cardiovascular, cardiovascular disease, cholesterol, coriander, dairy, dementia, diabetes, diabetes and obesity, diet, fiber, food, garlic, health, healthy fats, healthy weight, heart disease, heart health, lower cholesterol, lower triglycerides, mediterranean diet, mediterranean diet benefits, mediterranean style diet, milk, nutrition, nuts, obesity, omega 3, omega 3 fatty acids, physical activity, processed foods, protein, risk of heart disease, schizophrenia, spices, stress, sugar, sugar level, the mediterranean diet, Triglycerides, type 2 diabetes, vegetables, walnuts, weight loss diet, whole grain, whole grains, wine.